10,000 kilometers and six months biking South America without seeing a single cyclist. Now we’re surrounded by seven of them hanging out in the same campground In Calafate, Argentina. 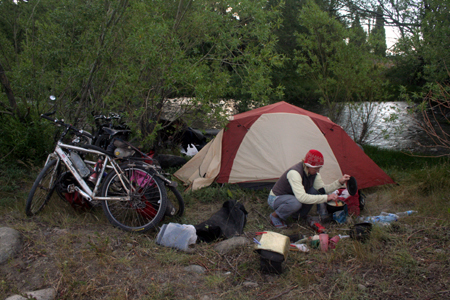 Camping near Calafate. 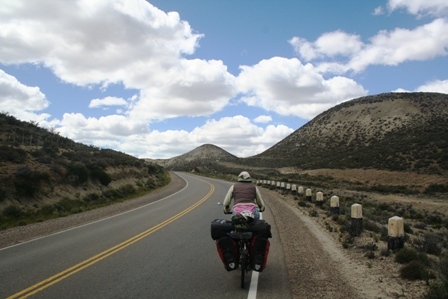 Empty road near Chile-Argentine border post Cerro Castillo.